Just because I’ve received school supply lists, it doesn’t mean that summer is over yet! There are still lots of road trips to be had, right? This past weekend, we went camping on a family and friends camping trip. The kids all had tons of fun playing outdoor games, hiking, and taking turns on the sliding rock. The kids also adore road trips because of the snacks. When traveling, we enjoy snacks and treats that we wouldn’t normally indulge in daily. The kids know this, and I think it’s part of why they enjoy traveling so much. 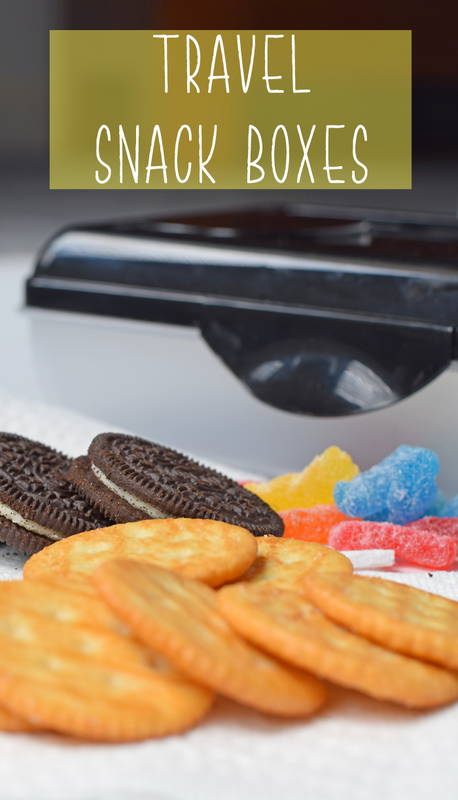 A few years ago, the “tackle box” snack box craze circled around Pinterest. 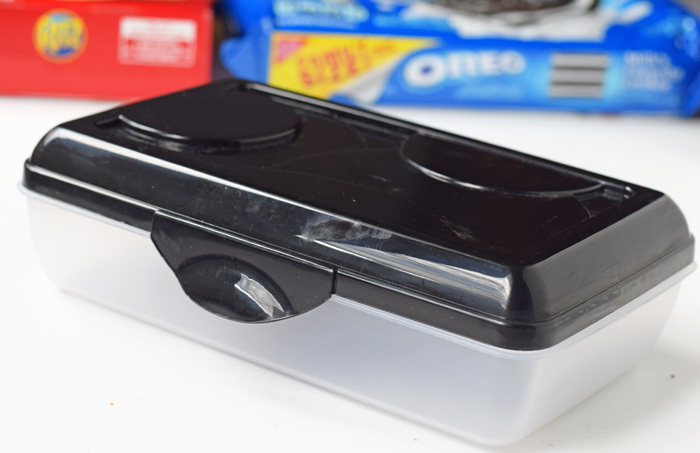 It was a cute idea– snacks in different tackle box compartments– but the mom in me didn’t find them useful for our family. One bump in the road and I knew that the entire box and all its contents would be face down in the floor. Instead, I started packing travel snack boxes with something that worked better for us– pencil boxes! Pencil boxes are inexpensive. I picked up a few at Walmart while shopping for snacks. 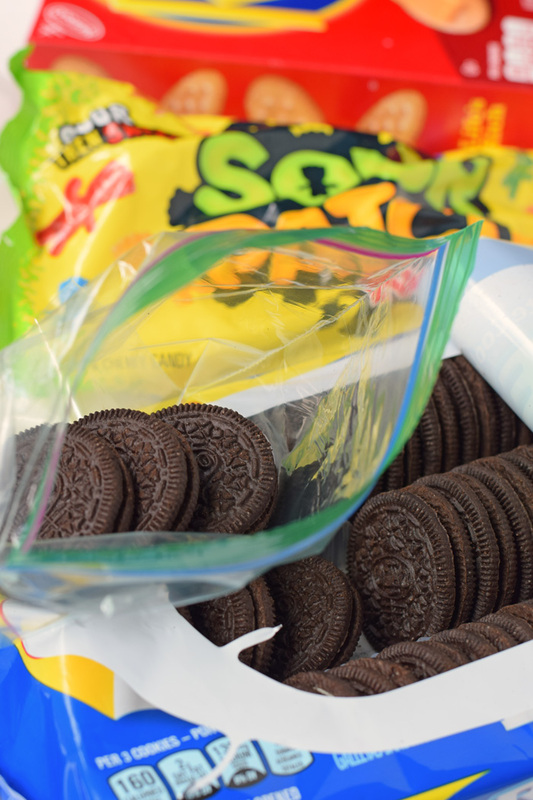 Family Size OREO Cookies, Family Size RITZ Crackers, and Sour Patch Kids are always favorites. Walmart is a good place to purchase Family Size packages of snacks for a good price. Of course, Walmart is a one-stop shop for lots of road trip items, making it easy to grab everything in one trip. 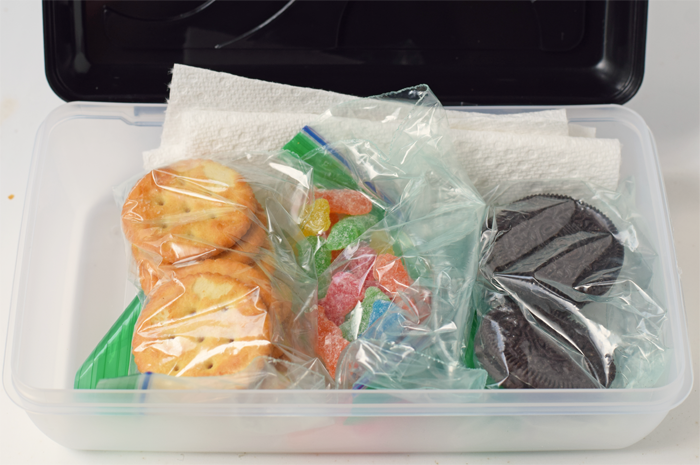 Assemble snacks, zip top bags, napkins, and a pencil box for each child. 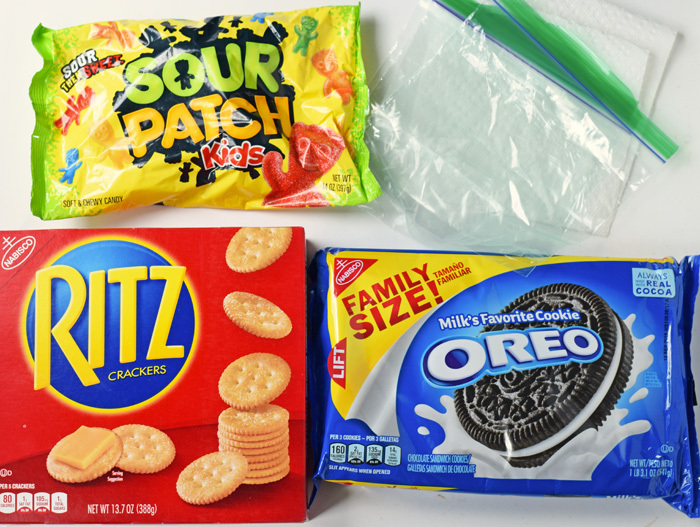 Place snacks in individual zip top bags. 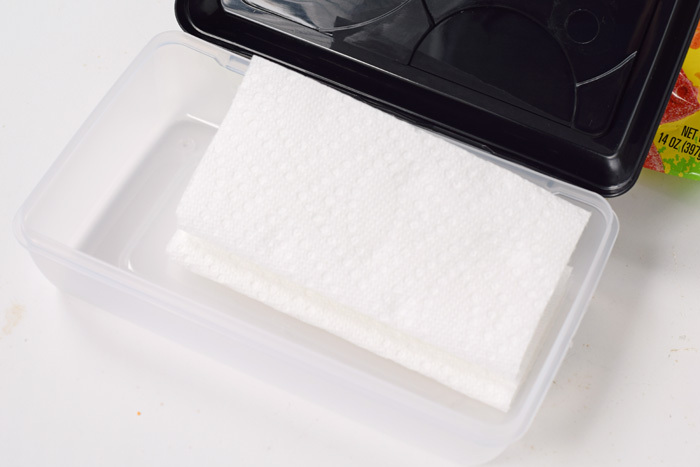 Fold a few napkins and place in either the bottom or the side of the pencil box. Place each bag into the pencil box. I have them spread out for photo purposes below, but the pencil box holds more than one may assume. Smaller snacks can be pushed to the side while cookies and crackers can be stacked on top of one another. Make your road trip extra special with a chance to win the NABISCO Summer Snack ‘N Share sweepstakes. Entrants can enter to win by sharing an image of themselves, their family, or their friends enjoying NABISCO products. With a chance to win $10,000, it is a sweepstakes worth entering! Get more NABISCO Summer Snacking inspiration on their Pinterest board! This is a great way to ensure kids aren’t fighting over who got more snacks! Also, this would have been so easy on my mom . . . she was in charge of the snack bag and I was always bugging her to hand me something haha. Super cute and affordable idea. I can’t believe it is already back to school next month! My kids pack their lunches so this is right up my alley. I like to buy in bulk so they can pack their snacks in little Ziploc bags. We love Oreos and Ritz around here. Ummm hello all my favorite snacks in one snack box! Perfect post for me as I am packing things up for a week adventure. Especially since there are only certain snacks I can eat, I really need to plan ahead! This is a cute little snack box for a road trip! Great idea to make these up before heading out on an adventure. I like how simple they are! These are some of the kids favorite snacks year round, we have a summer break vacation next week to the beach. This is a few of the fun snacks we will be packing for the trip. Also bookmarked the contest as well. Ritz crackers are my favorite hands down! How cute are these travel snack boxes! What a great idea for family to travel. It’ll help keep everyone entertained. I also love the idea of using pencil boxes. They are inexpensive and easy to use while on the go! Hi, These are some of the kids favorite snacks year round. My kids back to school next month! My kids pack their lunches so this is right up my alley. I like to buy in bulk so they can pack their snacks in little Ziploc bags.Thanks for the sharing such an informative article. I love it! I actually have a few of these pencil boxes. Time to have some fun with them!